Angolan Minister of Justice and Human Rights Francisco Queiroz (file photo). 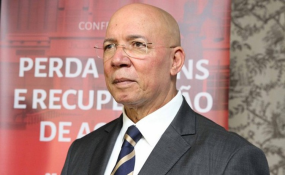 Luanda — The Angolan minister of Justice and Human Rights, Francisco Queiroz, left last Tuesday Luanda for Paris, France to participate, on behalf of the President of the Republic of Angola, João Lourenço , at the World Anti-Corruption and Integrity Forum. The Forum will be held as from March 20-21. From Paris, the minister travels on an official visit to China on March 22, where he will hold working meetings with the Chinese Minister of Justice and the President of the Supreme Court. In his six-day stay in the cities of Beijing and Shanghai, China, the Angolan Justice Minister will visit the Arbitration Institute of China University of Politics and Law as well as a Faculty of Education for Mediation.